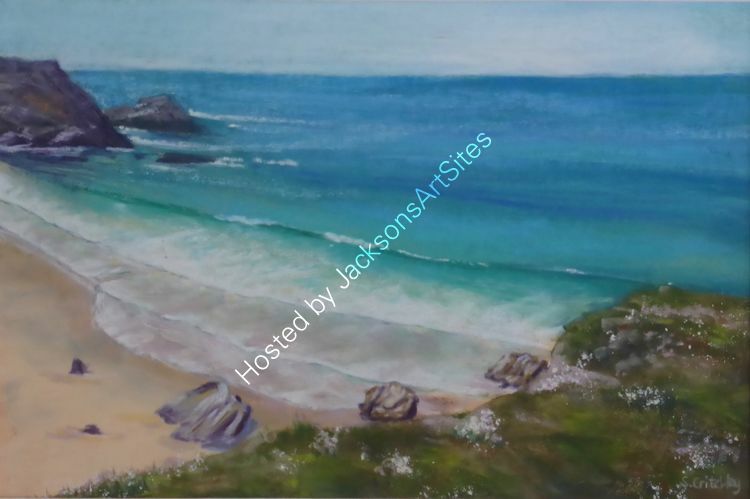 A gently sloping and sandy Cove between Crantock Beach and Holywell Bay on the north coast of Cornwall just west of Newquay. On this day I had enjoyed a lovely walk on the West Pentire headland looking from the cliffs down on the beach. It was mid week during school term time and so the beach was quiet and I could enjoy the stunning views in peace. The sea really was that colour! An original painting in soft pastel on card, mounted and framed in a neutral frame.